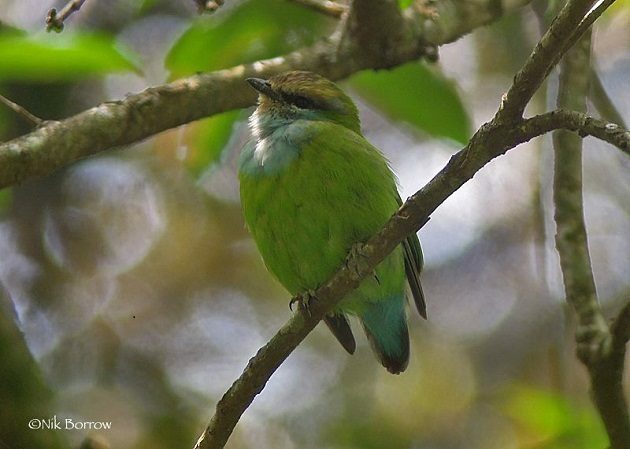 Let’s say, where the average annual maximum varies from 22 to 24 degrees Celsius / 72 to 75 Fahrenheit and where some 700+ bird species – 24 of them endemic – are waiting for an intrepid birder… Answer to the riddle? Directly under the Equator: southwestern Uganda! Add to this picture local cultures of Batwa, Bakiga and Bafumbira ethnic groups; then mammals like Mountain Gorillas (recent DNA tests indicate that Bwindi and Mgahinga population may consist of two different Mountain Gorilla subspecies – both Critically Endangered), Chimpanzees and Golden Monkeys, both Forest and Savanna Elephants, both Red and Savanna Buffalos, etc. ; also the crime rate lower than in developed countries, stable politics, reasonable prices and landscapes as green as can be. 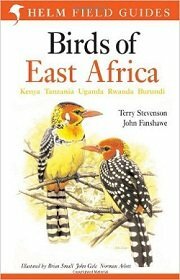 Bird book of choice is the “Birds of East Africa” by Terry Stevenson and John Fanshawe, a Helm Field Guide covering Kenya, Tanzania, Uganda, Rwanda and Burundi – also the first complete guide to cover the 1388 species found in this region. Try to lay your fingers on a copy of “Where to watch birds in Uganda” by Jonathan Rossouw and Marco Sacchi (this one I still miss). A travel guide for birders should be the “Bradt Guide to Uganda” written by Philip Briggs, who is a birder himself! 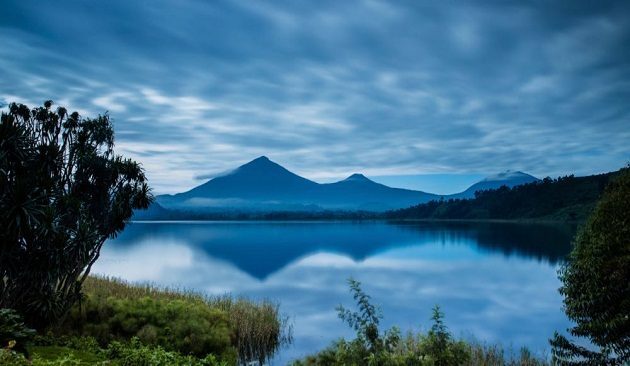 Also, find some practical and down to earth travel advices for the Mountain “Gorilla Highlands” region (southern Uganda and northern Rwanda) in this pdf brochure (40 Mb). I sure hope to get there. And would love to meet you there. In case you find this blog a bit short, don’t blame me: my tiny bottle of WHE is already empty. WOW!! That just has to go on the “Bucket List”…and I have a nick name for those tiny bottles, Training Beers! I lived there for 6 months and the first afternoon in a backpackers in Kampala set the scene: Palm-nut Vulture, Ross’s Turaco and Broad-billed Roller amongst others. I think my favourite was a Black Bee-eater in a tree over my home in Kibale – it was there for three days when I first arrived and I assumed it was common enough, then didn’t see another for the rest of the trip. I’d go nut over a Palm-nut! Also I remember my guide at Bwindi telling me that an Oriole Finch was a once every six months bird for him, then getting progressively more embarrassed as we saw three more! I spent February this year assessing the environs of Bwindi Impenetrable Forest as a birding tourism destination. Access to the National Park is very limited (expensive) but you can enjoy good birding along its edges and nearby. Temperature was higher than suggested – I think we maybe got to 30 deg C. midday. Bravo for such an interesting work and an exciting blog! The temperatures are for Kibale and are the average maximums (sort of mid-maximum temperatures, not an absolute maximum). African Bird Club still quotes the number of bird species in Bwindi as 350, but Buhoma eBird hotspot in Bwindi has 413 and there are half a dozen more hotspots in the park. BTW, if you have any particular advice for a birding beginner in Uganda, what would it be? I would say the best thing you can do is get a local guide. There are many Ugandans interested in birds and nature. Suggest you contact Baturine Emma through facebook. He is a very good birder , he found lots of cool birds for me and knew many species by call. Alternatively go online to Big Beyond it is a small British aid agency that does work with the community to advance their development. You may find leads to something good. Uganda is truly a great country for birding, but no one sees over 600 species in three weeks. Keep sipping those training brews! Perhaps they are not trustworthy?